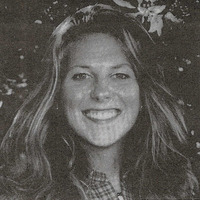 A graduate member of the Tomahawk High School Class of 1995, participating in basketball, track, cross country and volleyball. During her sports career, Becki earned twelve letters and is the only Lady Hatchet in THS history to letter this many times. Becki received four basketball letters, four track letters, two cross country letters and two volleyball letters. She was All Conference in basketball in 1993, 1994 & 1995, track in 1994 & 1995 and volleyball in 1995. Becki was a four time regional champ in track, but her major accomplishments were in basketball. She received the following basketball awards: Most Valuable Player 1994 and 1995, Most Dedicated Player 1994 & 1995, Darci Riese Memorial 1993, 1994 & 1995. WBCA Division II North All Star Team 1995, Most Valuable Player, AAU Team 1994, and was selected to play in National AAU Basketball Tournament and National BCI Basketball Tournaments in 1995. In Becki's senior year, she received the Award of Excellence, Women's Sports Advocates of Wisconsin, Bill Fischer Outstanding Female Athlete Award, Bill Stiff Sportsmanship Award, Lumberjack Conference Senior Scholar-Athlete Award, Hatchet All-American Scholar-Athlete and Tomahawk Jaycees' Youth of the Year. Upon leaving Tomahawk High School, Becki entered Benedictine College in Atchinson, Kansas where she joined the basketball team. During her four years of college, her basketball team went to the National Tournament three times ranking tenth in the country during her junior year. Becki lettered 0.11 four years in basketball and graduated in 1999 with a BA in Elementary Education and a BA in Special Education. Becki served in the Peace Corps for one year in the Dominican Republic where she instructed teachers on the most up-to-date methods of teaching. Presently she is teaching middle school special education for St. Joe's School District in Missouri.